Ligularia belongs to the family Asteracea and can be traced back to the Latin name ligula, a diminutive of lingüa which means tongue. It alludes to the fact that the capitulum(flowerhead) can carry linguiform(tongue-shaped) ligulate(strap-shaped) flowers. About 150 species of Ligularia are known. One of them is the extremely hardy Ligularia dentata ‘Desdemona’. Ligularia dentata ‘Garden Confetti’® is an exciting variegated sport of the old standby Ligularia dentata ‘Desdemona’. This variety is so colourful and interesting that words cannot describe this beauty. 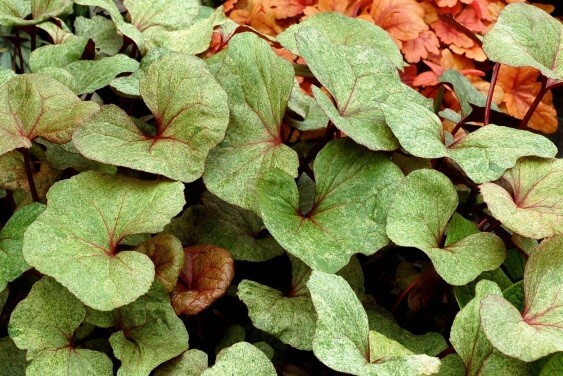 The large, heart-shaped, cream coloured foliage is very liberally sprinkled with lime, pine-green and pink splashes and is held together with magenta-coloured veins. As summer progresses, the cream back ground changes to gold. In summer, the background changes to burgundy with green mottling. The veins and the leaf backs are dark red. Ligularia dentata ‘Garden Confetti’® blooms in mid- summer with bright gold, daisy-shaped flowers. 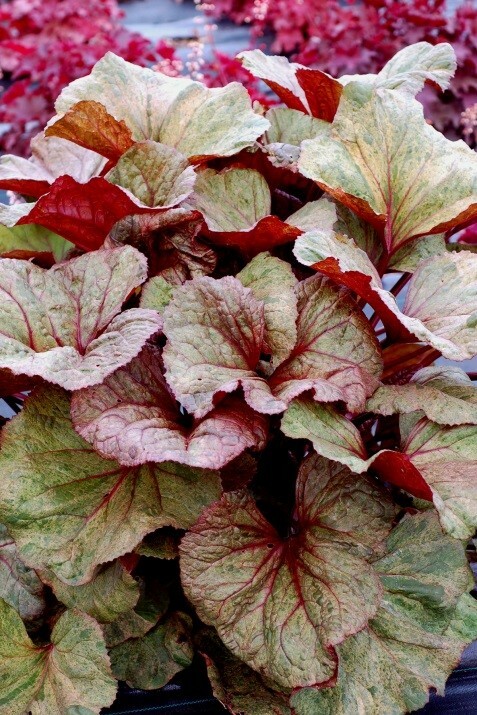 Like all Ligualaria, this bold, outstanding beauty appreciate moisture and looks best if not left to dry out. 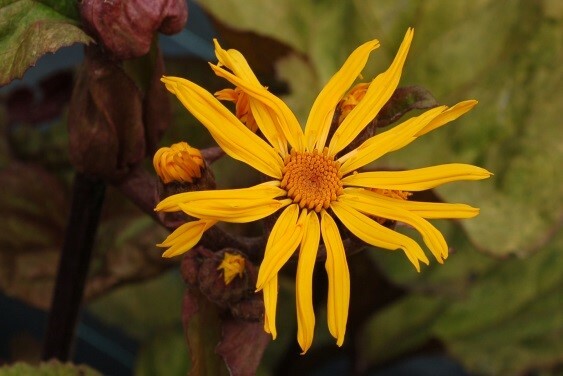 Ligularia dentata ‘Garden Confetti’® is….hardy….showy….easy and makes a grand entrance that leaves an impression. Vigorous and unforgettable. The height of the foliage is 90cm; the spread of the foliage is also 90cm; the height of the flower is 150cm.